Mana Series Coming To The Switch | Nerd Much? 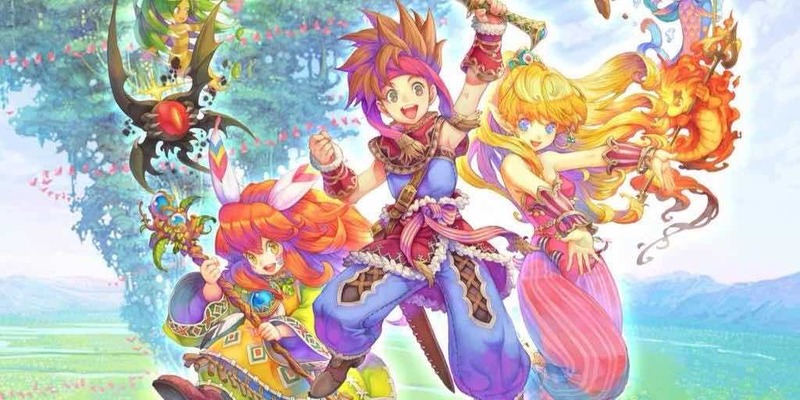 According to Famitsu, Square Enix has announced that the first three games of the Mana series will be coming to the Nintendo Switch. It will ship this June in Japan, but it isn’t completely clear if they mean digital copies only or cartridges. The entire collection will cost about 4,800 yen, and no word yet on the American release. However, we should also keep in mind that the Switch is not region locked, so if there is a retailer that can ship to your country you can probably play the games regardless. The first three games are Final Fantasy Adventure, originally released for Game Boy in Japan, Secret of Mana, originally on the SNES in Japan, and Seiken Densestu 3, an exclusive Super Famicom game. The collection will also feature a modern quick save option, and a music mode that allows you to listen to the game’s soundtracks without opening up the game itself. If you don’t recall what the Mana series was all about, it was fairly huge during it’s time. It was a spinoff of the Final Fantasy series that quickly gained independence, with its own unique story and such. One of the main differences is that the combat was not turn-based, relating more freely-swinging type of Zelda series at the time. It still retains the heavy RPG elements, and the high fantasy from various sources, like Lord of the Rings, that inspired it. Did you play the Mana series back in the day? What do you think of its port to the Switch? Let us know in the comments below.